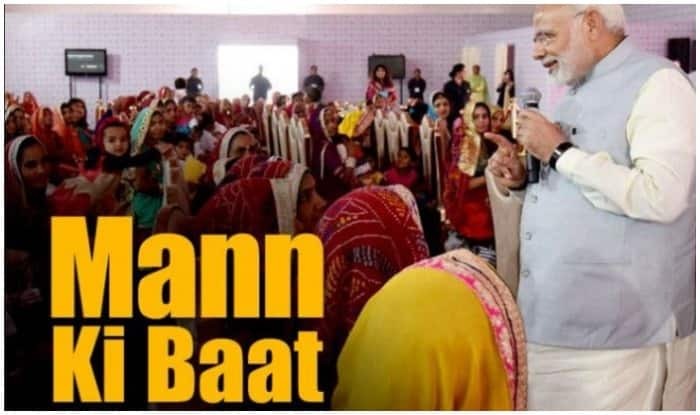 Prime Minister Narendra Modi addressed the 52nd edition of Mann Ki Baat on Sunday, January 27. The PM also spoke about the Lok Sabha Elections 2019 and praised the Election Commission of India (ECI) for strengthening the democracy. He also urged the youngsters to register themselves as voters this year, if they are eligible. On the 21st of this month, our Country received very sad news. Dr. Shri Shri Shri Shiva Kumar Swamiji of District Tumukur, Karnataka was no more. Shiva Kumar Swamiji dedicated his entire life to Social Service. Lord Basaveshwar has taught us, “Kayakave Kailas”” meaning discharging one’s duties with due diligence and perseverance is akin to being in the abode of Lord Shiva ie Kailasha Dham. Shiva Kumar Swamiji was a true follower of this tenet … during his life spanning a hundred and eleven years, he strived tirelessly towards the social, educational and economic upliftment of thousands of people. He was renowned to be a masterly scholar of languages such as English, Sanskrit and Kannada. He was a social reformer. He dedicated his life in ensuring that food, shelter, education and spiritual knowledge reached out to people. The welfare of farmers was a priority in his life. The Siddhganga Mutt regularly used to organise cattle and agricultural fairs. I have had the fortunate opportunity to be blessed by Swamiji, many a time. In the year 2007 on the occasion of the Centenary celebration of Sri Sri Sri Shivakumar Swamiji our former President Dr. APJ Abdul Kalam had paid a visit to Tumkur. On this occasion Kalam Saheb had recited a poem dedicated to revered Swamiji. I quote him:“O my Fellow Citizens – In giving, you receive happiness,In Body and Soul- You have everything to give,If you have knowledge – share it,If you have resources – share them with the needy,You, your mind and heart.To remove the pain and suffering, and cheer the sad hearts.In giving, you receive happiness Almighty will bless, all your actions”Dr. Kalam Saheb’s poem potrays the life of Shri Shri Shri Shivakumar Swamiji and the mission of the Siddhganga Mutt beautifully. Once again, I pay tribute to this great man. My dear countrymen, India is a land of saints. Our saints have conveyed the message of goodwill, equality and social empowerment through their thoughts and deeds. One such Saint was – Sant Ravidas. On 19th February we will observe Ravidas Jayanti. The couplets or ‘dohas’ of Sant Ravidas ji are very well-known. Sant Ravidas used to convey a profound message through the few lines of his couplet or ‘doha.’ He had said: “जाति-जाति में जाति है, जो केतन के पात, रैदास मनुष ना जुड़ सके जब तक जाति न जात”Which would translate something like this that if you were to peel the stem of the banana tree, there appear leaves underneath which form the pseudostem, one can go peeling the leaves forming the stem till there isn’t any tree left at all ! Similarly man has been divided into castes and the human in him has disappeared. Sant Ravidas proposed that if God was present in every human being, then it was not fair to categorize him on the basis of caste, creed and other sociological demarcations. My dear countrymen, I always say, those who play, also bloom and this time, many young players making their debut have bloomed in ‘Khelo-India’. In January about 6,000 players participated in 18 disciplines in the Khelo India Youth Games held in Pune. Only when the local ecosystem of our sports will be strong i.e. only when our base will be strong, then only our youth will be able to perform their best in the country and across the world. When the player performs his best at the local level, only then, he also shines globally. This time in ‘Khelo India’, participants from every state have performed well at their individual level. The life of many a medal winner is also immensely inspiring. It is often seen that girls are not encouraged much to participate in sports such as Kabaddi. In spite of the hurdles, Sonali not only chose Kabaddi but excelled in this discipline. 10-year-old Abhinav Shaw hailing from Asansol is the youngest gold medallist in the Khelo India Games. A farmer’s daughter, Akshaya Basavani Kamat, from Karnataka won a gold medal in weightlifting. She credited her victory to her father, a farmer in Belgaum. When we talk about the creation of a New India, then determination exhibited by our youth is the veritable example of what is New India! These inspiring stories from the annals of ‘Khelo India,’ are ample proof, that the building of New India does not only involve contribution from the denizens of big cities but also from the youth, children, young sports talents, hailing from small cities, towns and villages. My dear countrymen, you must have heard about many a prestigious beauty contest. But have you heard about the ‘Shining Toilet’ contest? Over the past month, more than 50 lakh toilets have participated in this unique contest. The name of this unique contest is “Clean beautiful Toilet”. People are making their toilets clean and colourful, by having them painted and other renovations, you will find lots of photos of such toilets participating in the “Clean beautiful Toilet” contest spread from Kanya Kumari to Kutchh till Kamrup on social media. I appeal to all the Sarpanchs and village heads to take a lead in this campaign in their respective Panchayats. And do share your “clean beautiful toilet” photos with me on #MylzzatGhar on social media. I wish all the students, their parents and teachers all the best. I would have liked to discuss this topic at length in ‘Mann Ki Baat’ of today, but you will be happy to know that just after a gap of two days, on January 29, at 11 am, in the ‘Pariksha Pe Charcha’ program, I am going to interact with students from all over the country, and this time, along with the students, their parents and teachers are also going to be part of this program. And this time, students from other countries will also participate. In this ‘Pariksha Pe Charcha’ program, I will touch upon a lot of things related to all the facets of examinations with my young friends, especially on the topic of stress free exams. I had urged people to send me their inputs and ideas with regard to this programme; and I am very happy that a large number of people are sharing their thoughts on MyGov. Some of these ideas and suggestions I will definitely put in front of you during the Town Hall program. You must also try to become a part of this program …… and through social media and Namo App, you can also see its live telecast.